General Manager of the Ghana Stock Exchange (GSE), Ekow Afedzi has urged Ghanaian entrepreneurs to mobilize long-term capital from the public through the capital market to grow their companies. According to him, most Ghanaian companies do not grow because they refuse to obtain long-term capital from the public through the floating of bonds and sale of shares. The capital market can generate long-term capital by issuing securities, which could be bonds or shares. “I’m not saying when you start you should go public immediately, what I’m saying is that it will reach a point where you need huge sums of money over a long-term period. If you are not able to do that, you remain stagnant just like most Ghanaian companies. 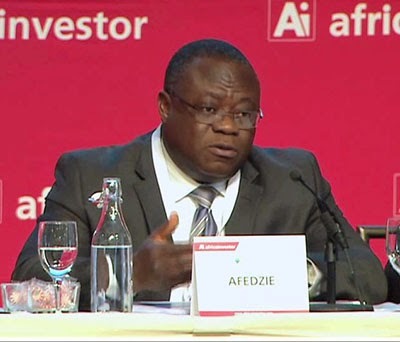 I believe in Ghana and I always stay here but the companies are not growing,” Mr Afedzi stated. Once a company floats shares or sells bonds, it is just like asking the public to join that company by taking their money and giving them part of the company in return, he indicated. “That is how almost all the big companies you find all over the world have grown. They start as family businesses and then along the line they go public and ask others to join. That is how you grow,” he stated. Mr Afedzi disclosed this at a seminar organized by the Private Newspapers Publishers Association of Ghana (PRINPAG) in collaboration with Ecobank Ghana. It was to educate journalists about aspects of the financial markets in Ghana. He noted that if most companies in Ghana begin to mobilize long-term capital from the public and grow, it would have a positive impact on the country’s economy. “That is why capital markets are important; they have effects on all these. Because once you can expand, you create more jobs and people will get more income. Once you can get companies to grow up and become bigger and people make more money, then you get the economy going round. It sounds simple but it is difficult to implement and it must come from the leaders of the nation. If they set the good example for everybody, I suspect everybody will follow,” he said. He stressed the need for government to adopt the long-term capital technique in the construction of roads and factories.